I've known Neil for many years. We recorded at a wonderful studio, high in the Brecon Beacons. After a good walk each morning we'd start work on the tunes. Neil's musical approach is electronic and groove based, with his often dark and oftentimes surreal lyrics over the top. He likes me to lock in with the machinery. I enjoy the discipline of it; minimalist groove guitarring. The couple of shows we're doing will be fun. 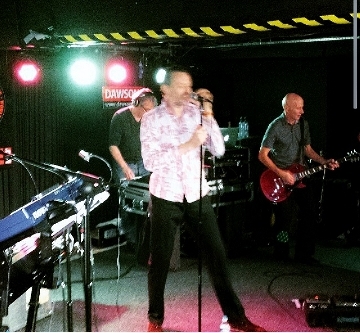 Blancmange bring their bitter-sweet electronic songs to Cherry Red Records with their new album, Semi Detached which will be available on four formats – CD, Ltd Edition Deluxe Double CD, Vinyl LP and digital download. Due out on 23 March 2015, the tracks are shot through with lyrics inspired by Neil Arthur's instinct for surreal juxtapositions and abstract wordplay. 'Paddington', which is scheduled to be the first single off the album on 9 March 2015, celebrates London through a blur of evocative, fragmented images – a random memory recall of life in the city. Meanwhile, the coiled, moody electronica of 'It Didn't Take Long' with the ice-in-veins kiss-off of 'I'm not sorry I hurt you', is followed by the gleeful artificial power of the synthesizers on the instrumental, 'MKS Lover'. 'Like I Do' is gripped by a propulsive rhythm and staccato phrasing, mapping out a cross-roads moment in someone's life. Will they recognise it? Can they tell up from down; real from fake? 'Deep In The Mine' is at the core of the album. 'I imagined a cavernous and yet claustrophobic space with endless passages running off it,' says Arthur. The soul-mining lyric is delivered with a roughened-up, husky richness by the singer that reveals new depths to his voice. The album, which is mixed by Adam Fuest, closes with one of the best – and darkest – songs Arthur has written so far, 'Bloody Hell Fire'. Featuring some wonderfully atmospheric guitars, his own playing is layered with that of David Rhodes (Kate Bush, Peter Gabriel), who adds inventive guitar to many of the tracks on the album. 'Bloody Hell Fire' conveys a sense of world-weary detachment ('I don't know if I exist') through another striking vocal by Neil Arthur. For all its bruised, existential self-pity, this track is sung with haunted passion and arguably creates a moment of raw beauty which has been rare so far in the nervy energy of Blancmange's catalogue. 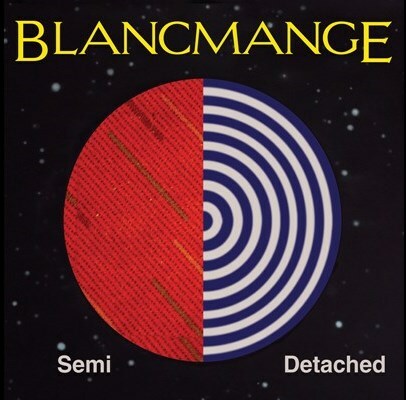 Semi Detached is Blancmange's 5th album to date, but the first without the involvement of Stephen Luscombe, Neils long term collaborator. While retaining Blancmange's characteristic humour, with this new album Arthur has moved on from some of the old tics and mannerisms to create an edgy, pared down and deeply personal record, getting the balance absolutely right between grit and light, the domestic and the cosmic, despair and joy. Blancmange's journey from '80s synth pop hitmakers to a reunited concern in the 2010s had been riddled with problems, most of them due to member Stephen Luscombe's abdominal aneurysm, which at this point has sent him home. As such, Semi Detached is essentially a Neil Arthur solo album with some help from frequent collaborator David Rhodes, but more than anything, it is a very, very dark Blancmange album when compared to all the others, and quite emotionally heavy as well. Opener "The Fall" is an eight-minute trudge with Arthur simmering throughout and primal screaming by the end, while "Useless" offers "Everybody love you, as useless as you are" with plenty of venom and little mirth. Hard to believe it is all coming from the band that chuckled through its heyday with hits like "Blind Vision" and "Living on the Ceiling," but Semi Detached is sincere in its distrust, distaste, and ire, and by the time "Bloody Hell Fire" underlines it all as a dour closer, the album winds up a worthy companion for bad days or chucking it all. Check "Paddington" for a hint of the old, bubbly magic, or "I Want More" for a quirky, unexpected cover of Krautrock legends Can.